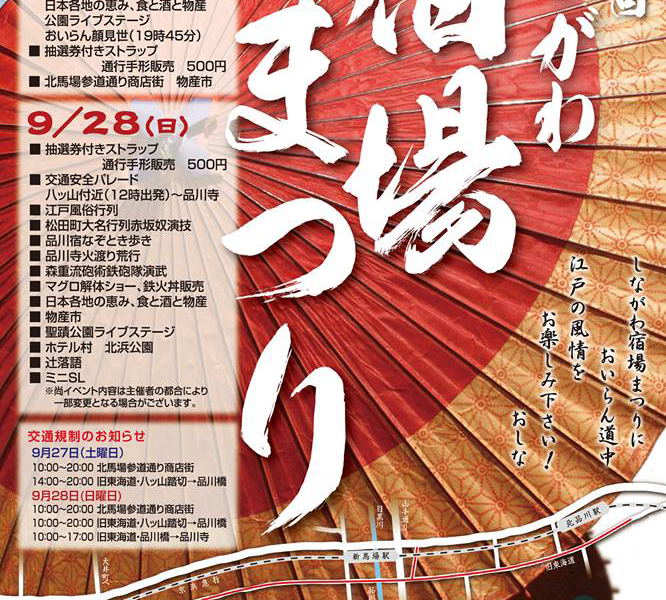 There will Matsuri held at Shinagawa. Shinagawa is used to be Shukuba in Edo period. Shukuba is check point at the routes from Edo(Tokyo). There are many Shukuba in Edo period and those are still exist in many place.